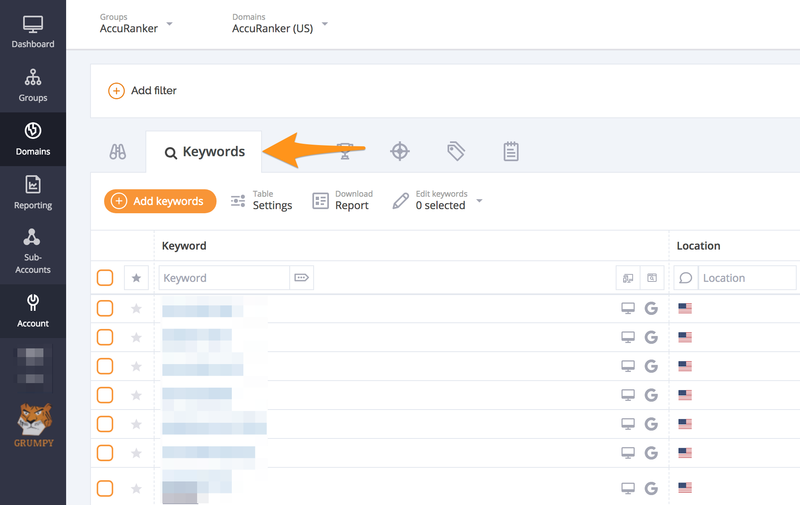 Go to the Keywords list of the domain you want the report for. 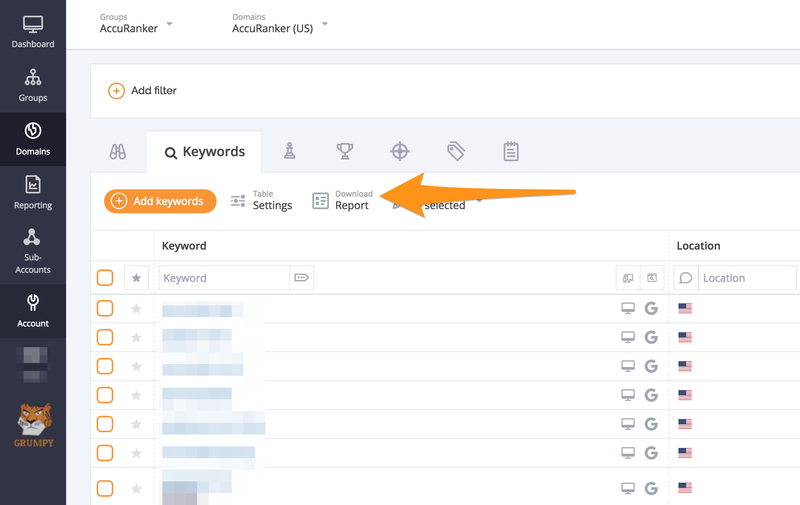 Select the dates you want to compare, and any filters you want to add to your report. 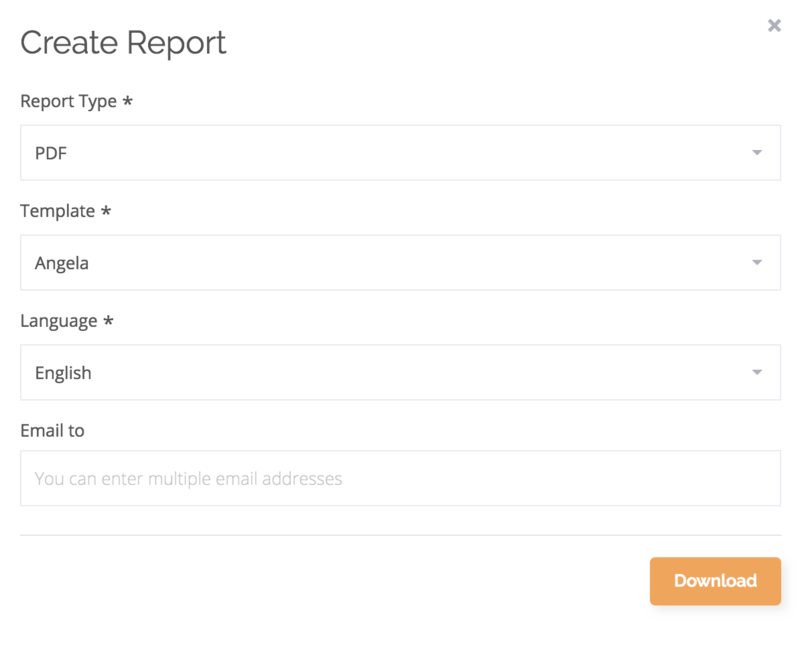 Select Report type (CSV, Excel, Sheets or PDF), Report template, language and email if you wish. Once done, simply click "Download" and that's it! Would you like to know how to export AccuRanker data into Google Spreadsheets? Read the guideline on how to create Google Spreadsheet reports.